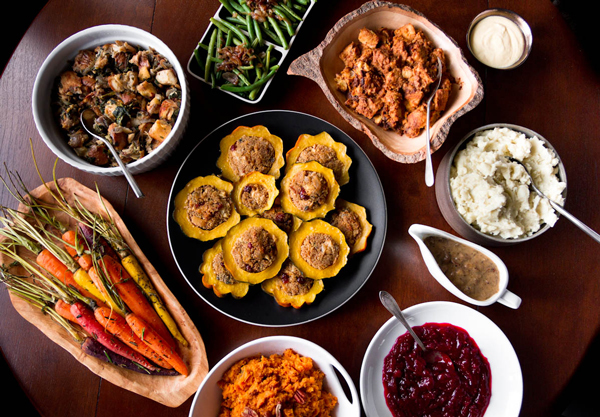 Are you ready to learn how to make a full blown vegan Thanksgiving feast? Are you tired of munching on the same old Tofurky roast year after year? Or suffering while you watch the rest of your family devour pumpkin pie loaded with whipped cream? Maybe you just want to put a healthier spin on your favourite traditional holiday foods? Whatever your situation, this workshop promises to be tasty, fun and educational! Red Seal certified chef Jack Middleton will walk you through his version of a vegan holiday feast and give you all the recipes to take home with you.